In the vein of bestselling memoirs about mental illness like Andrew Solomon's Noonday Demon, Sarah Hepola's Blackout, and Daniel Smith's Monkey Mind comes a gorgeously immersive, immediately relatable, and brilliantly funny memoir about living life on the razor's edge of panic.The world never made any sense to Amanda Stern--how could she trust time to keep flowing, the sun to rise, gravity to hold her feet to the ground, or even her own body to work the way it was supposed to? Deep down, she knows that there's something horribly wrong with her, some defect that her siblings and friends don't have to cope with.Growing up in the 1970s and 80s in New York, Amanda experiences the magic and madness of life through the filter of unrelenting panic. Plagued with fear that her friends and family will be taken from her if she's not watching-that her mother will die, or forget she has children and just move away-Amanda treats every parting as her last. Shuttled between a barefoot bohemian life with her mother in Greenwich Village, and a sanitized, stricter world of affluence uptown with her father, Amanda has little she can depend on. And when Etan Patz disappears down the block from their MacDougal Street home, she can't help but believe that all her worst fears are about to come true. 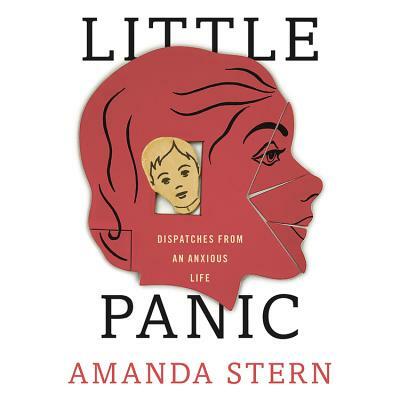 Tenderly delivered and expertly structured, Amanda Stern's memoir is a document of the transformation of New York City and a deep, personal, and comedic account of the trials and errors of seeing life through a very unusual lens.